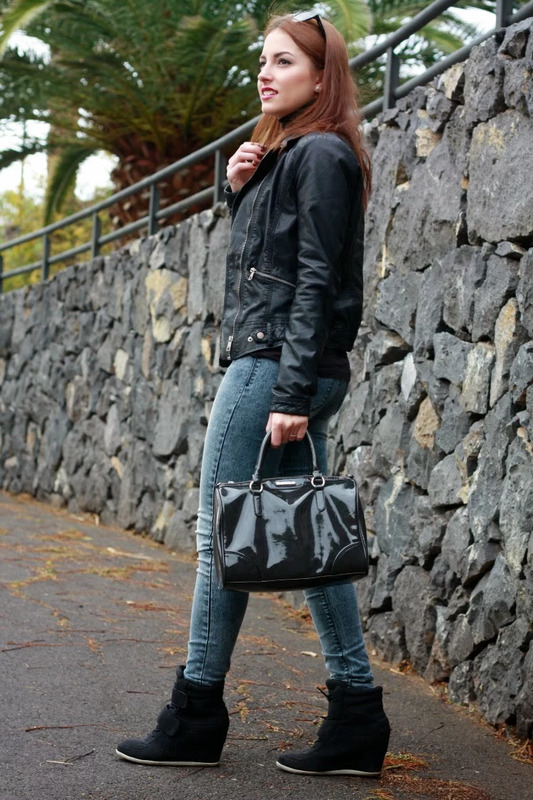 Como las perlas ya de por sí son bastante clásicas decidí arriesgar y romper un poco dándole un toque sport al look con las sneakers y la cazadora. Los vaqueros son otro regalo de Reyes y ¡me encantan!, son altos de cintura y de inspiración vintage, me recuerdan a los vaqueros que llevaba mi madre hace 20 años. ¿Qué os parece el look?, ¿os gustan los collares de perlas? Muchas gracias por vuestros comentarios y visitas. Hi girls! This week I received by mail this lovely pearl necklace thanks to CHOIES. The necklace is more beautiful in my neck that in the web. 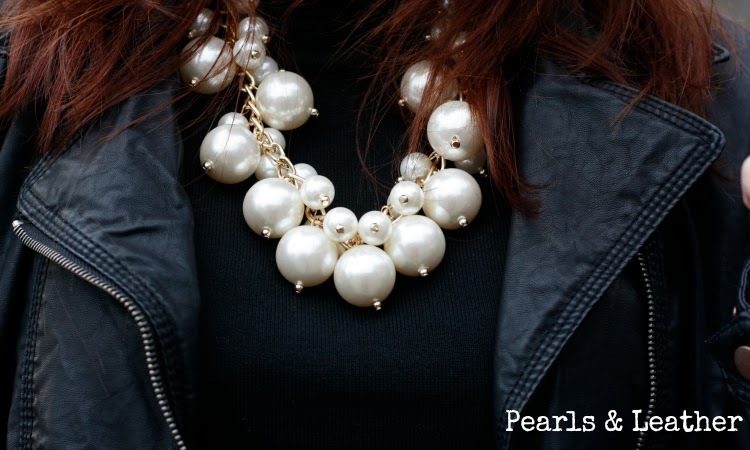 The pearls are quite classical decided to risk with a sport look with sneakers and leather jacket. Jeans are another Christmas present and I love them!, Are high waist and they inspired me to remember my mother wearing jeans 20 years ago. What do you think about the look?, Do you like pearl necklaces? Thank you very much for your comments and visits.